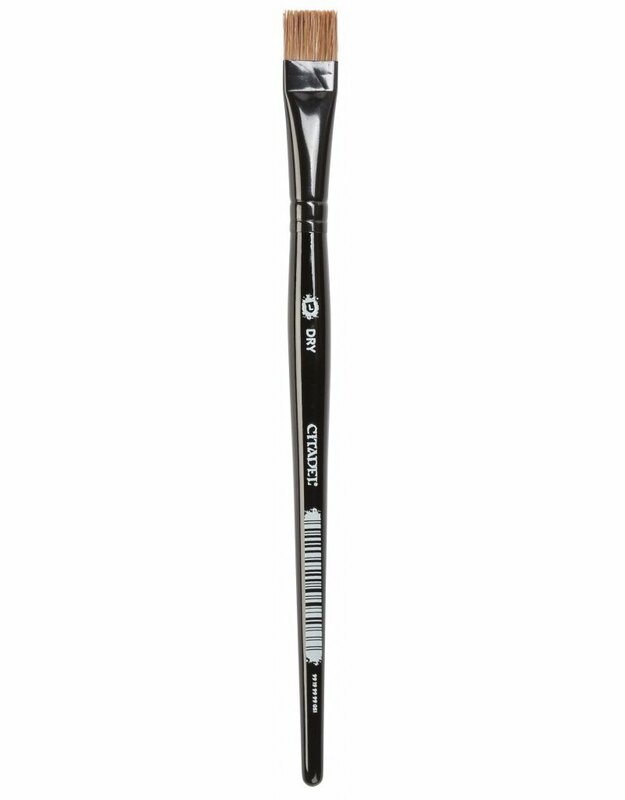 This large dry brush features a blend of synthetic and ox hair - for stiffness and durability. The flat shape means a consistent coverage on raised areas. Ideal for drybrushing!